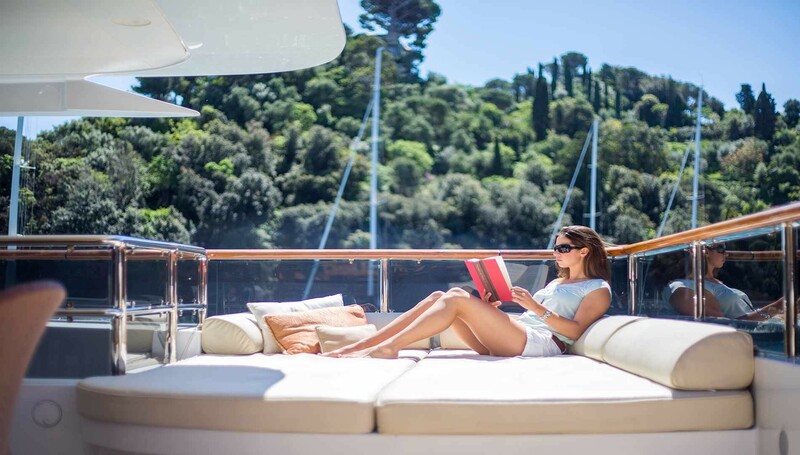 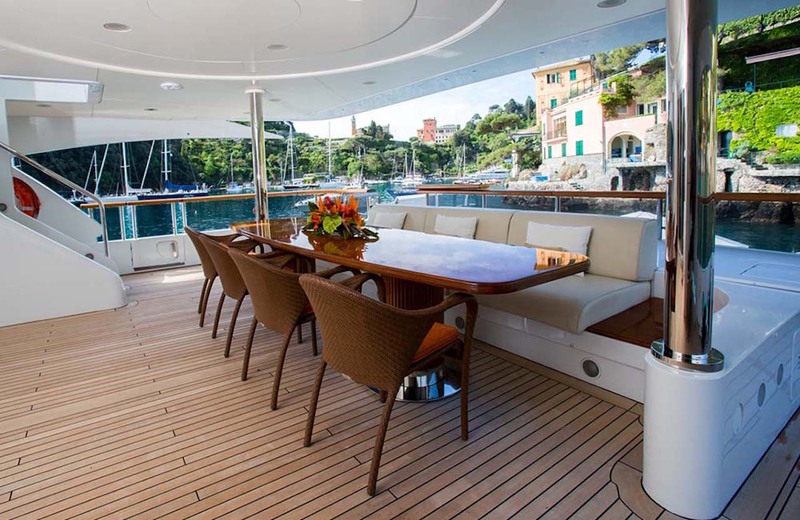 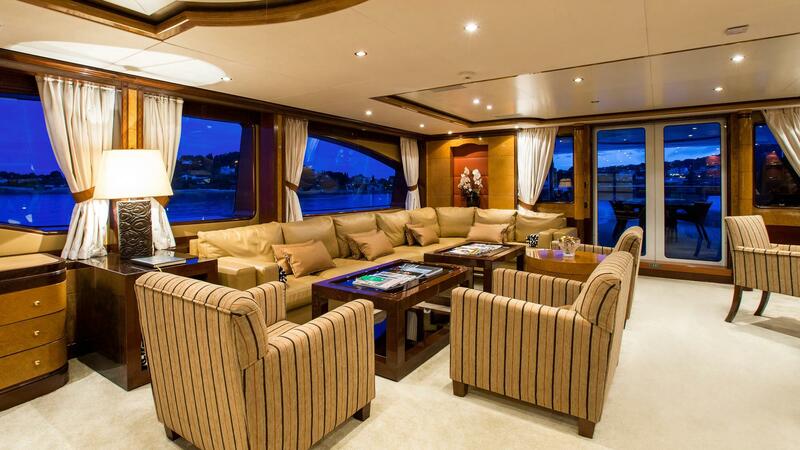 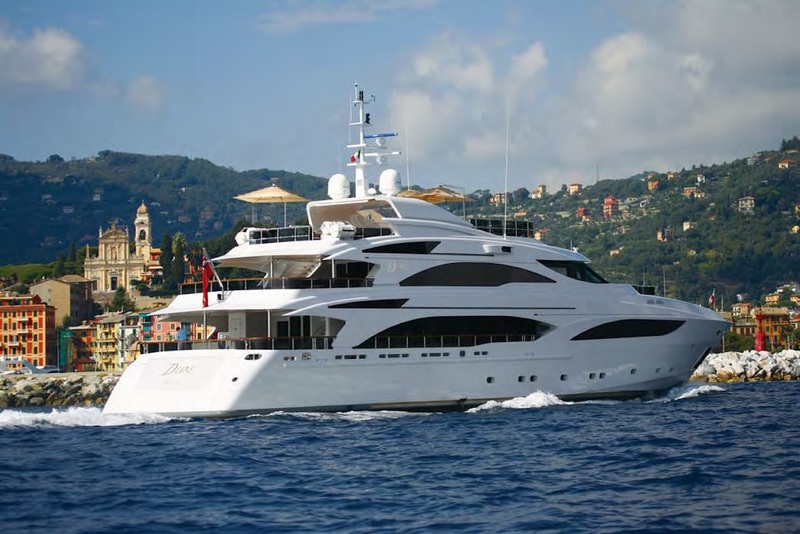 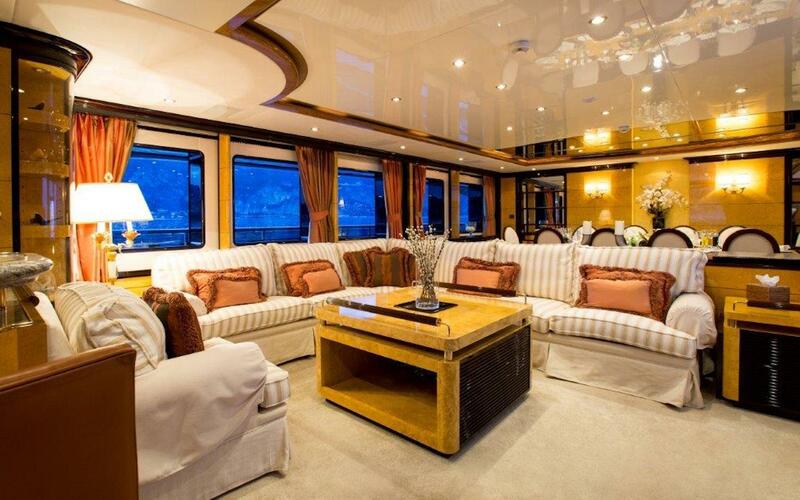 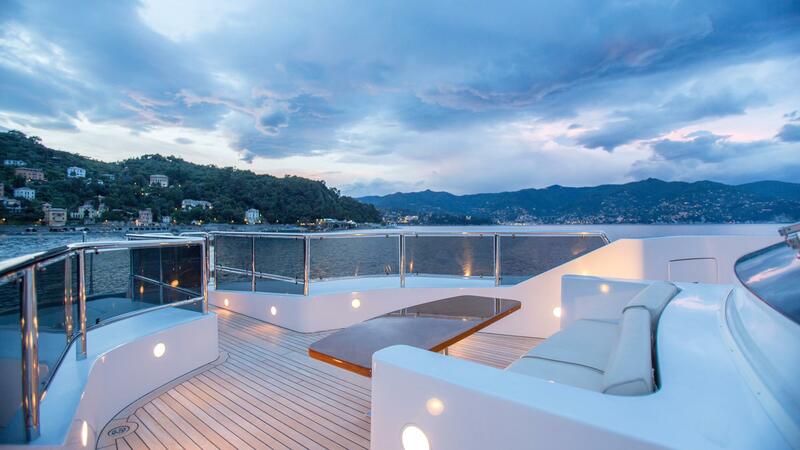 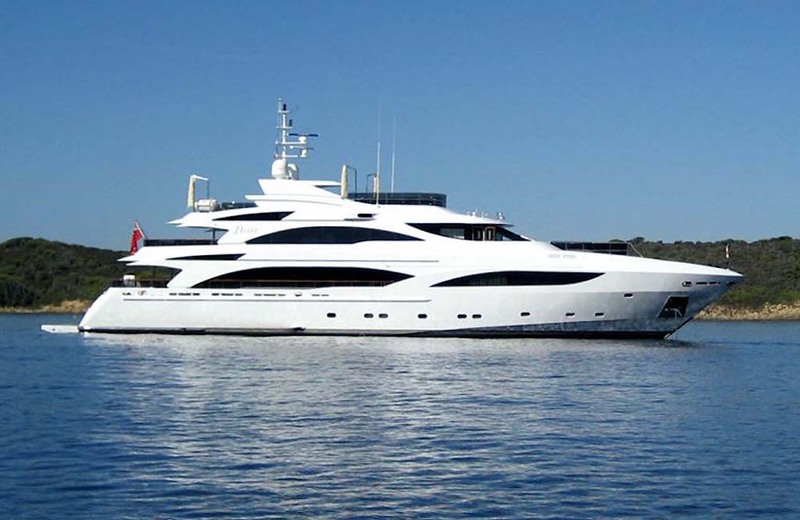 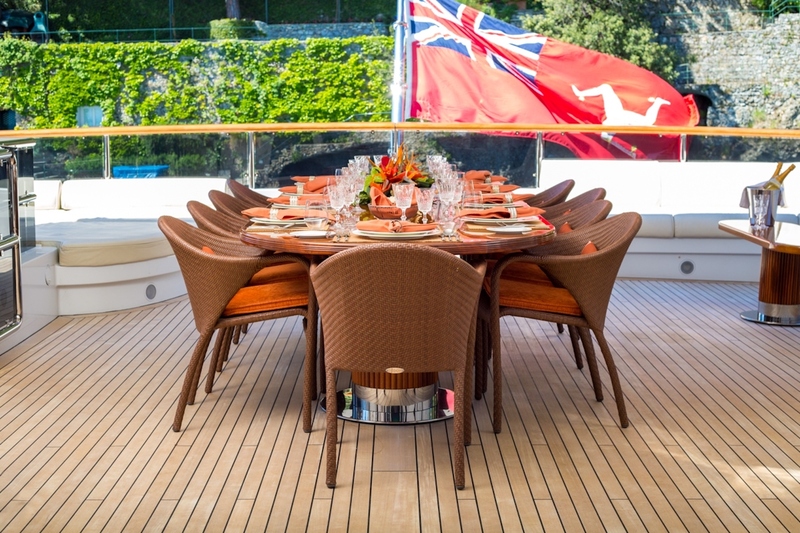 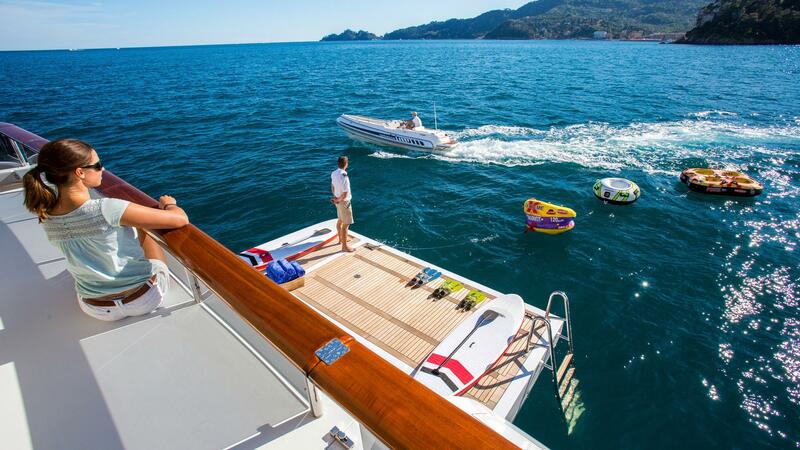 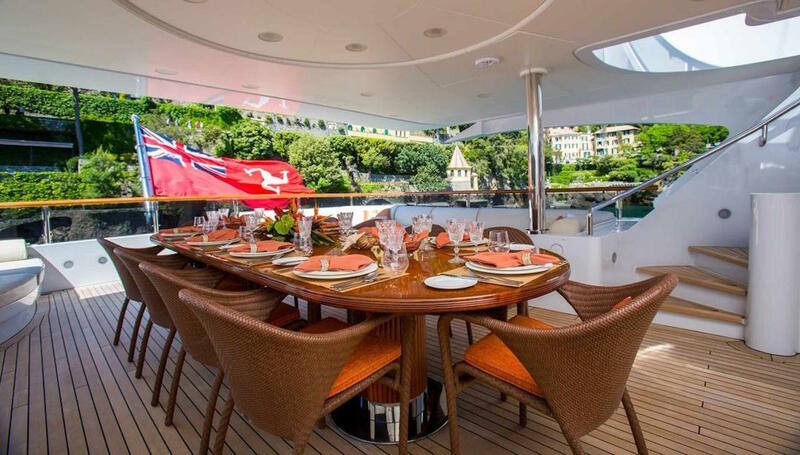 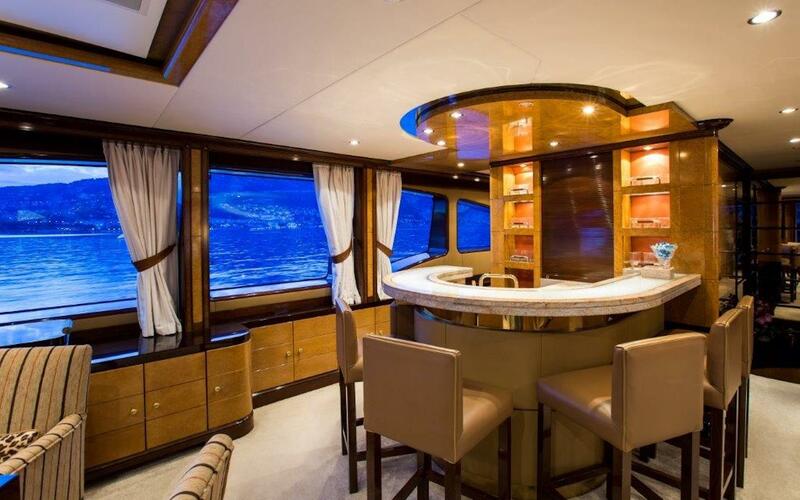 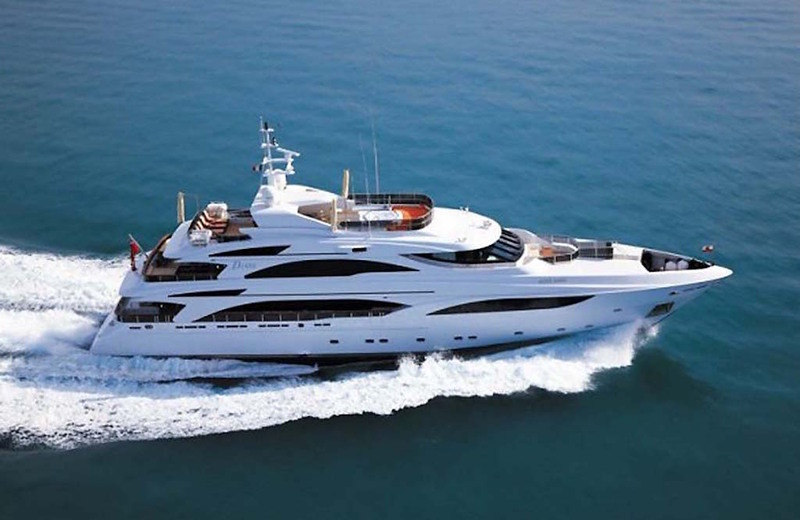 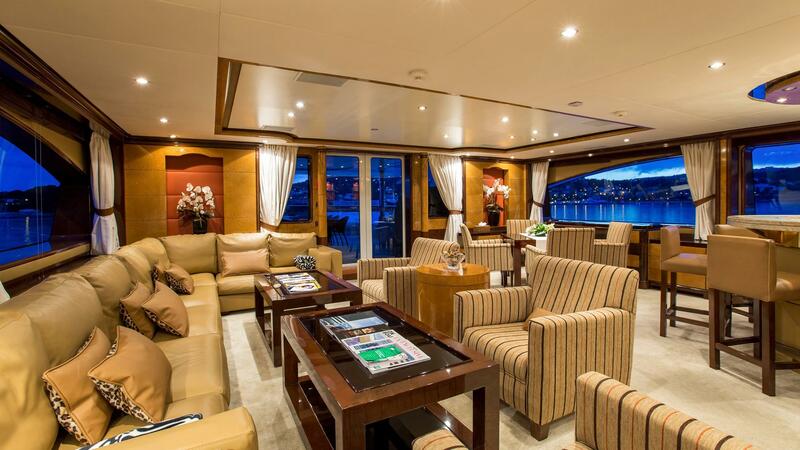 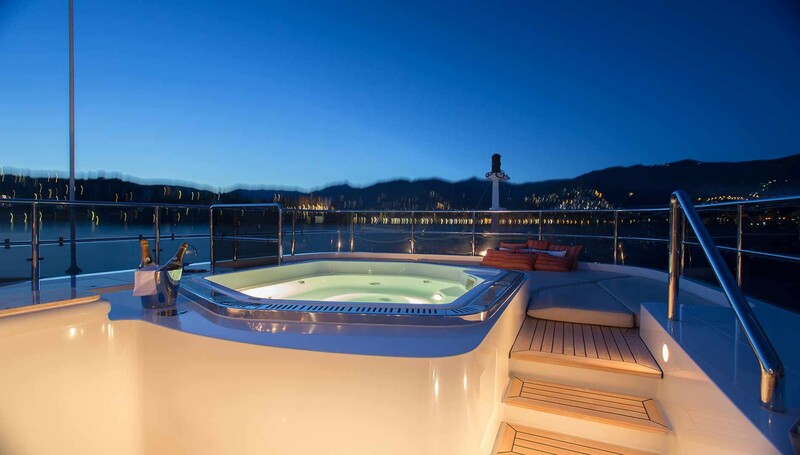 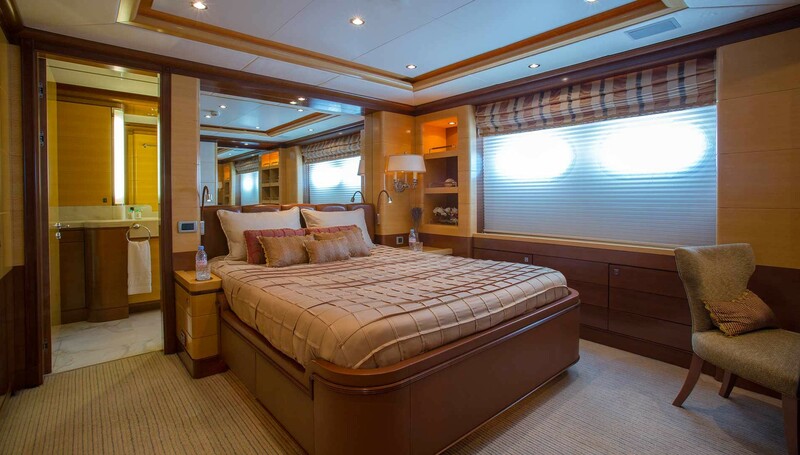 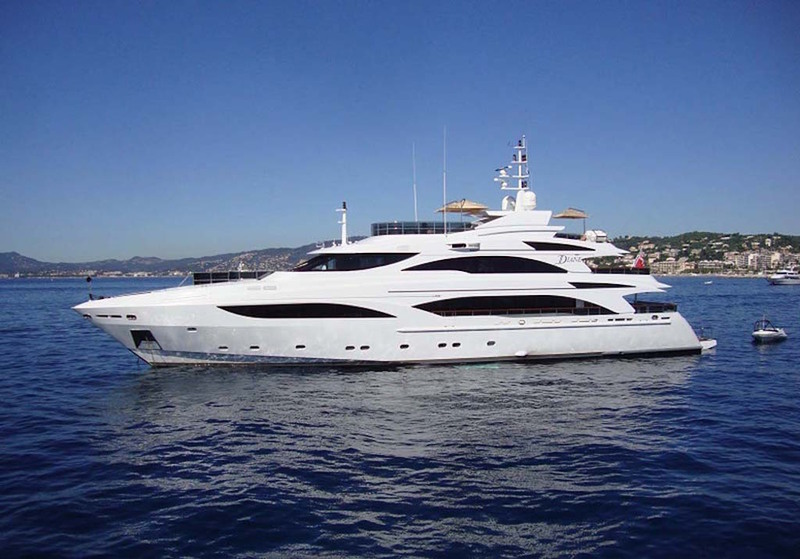 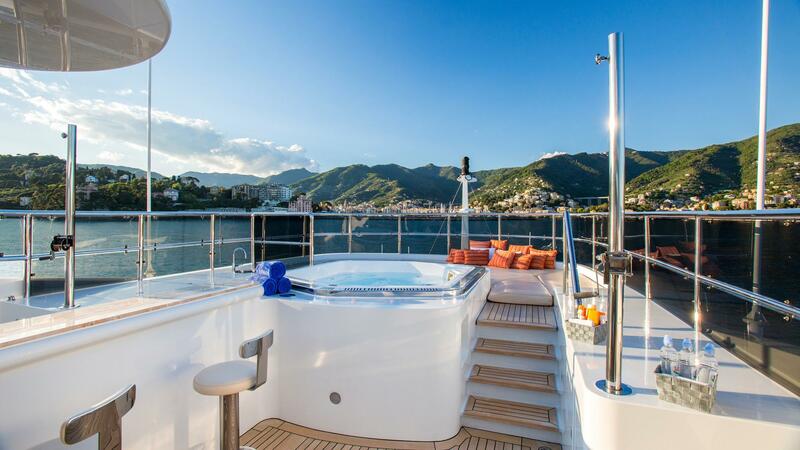 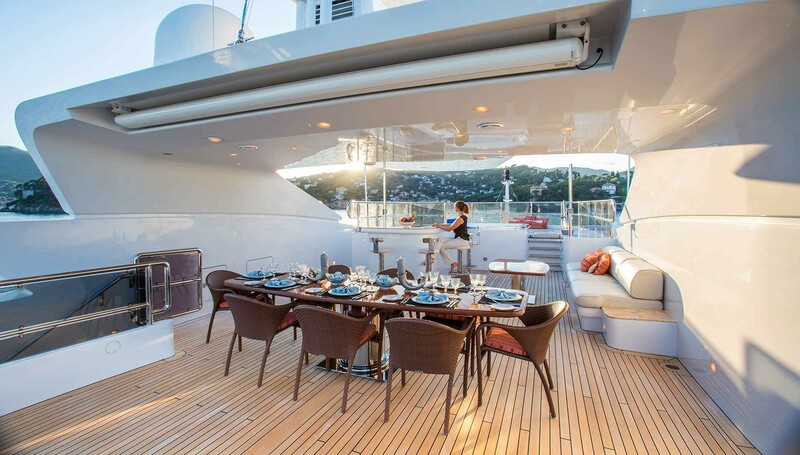 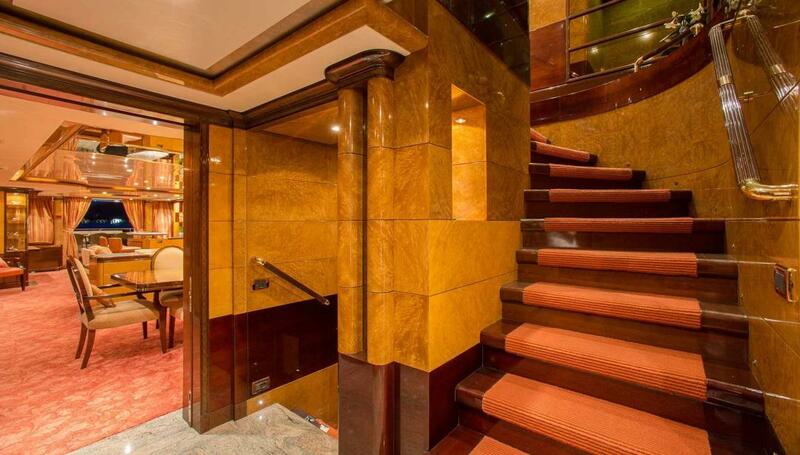 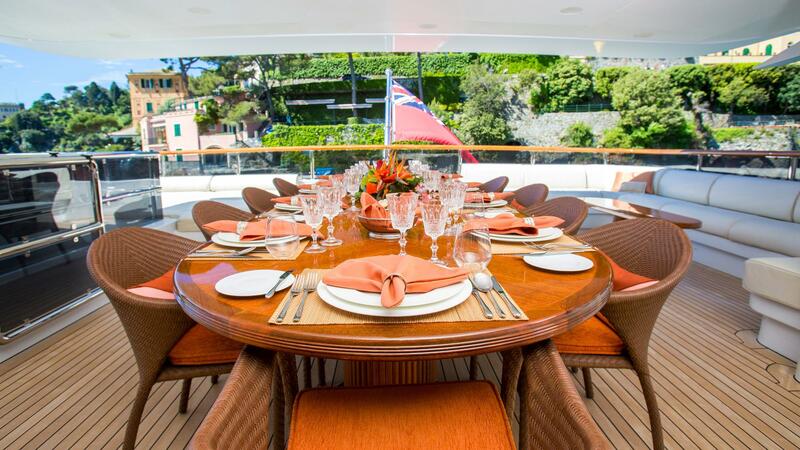 M/Y DIANE is a 43m Benetti motor yacht available for luxury charters in the Mediterranean. 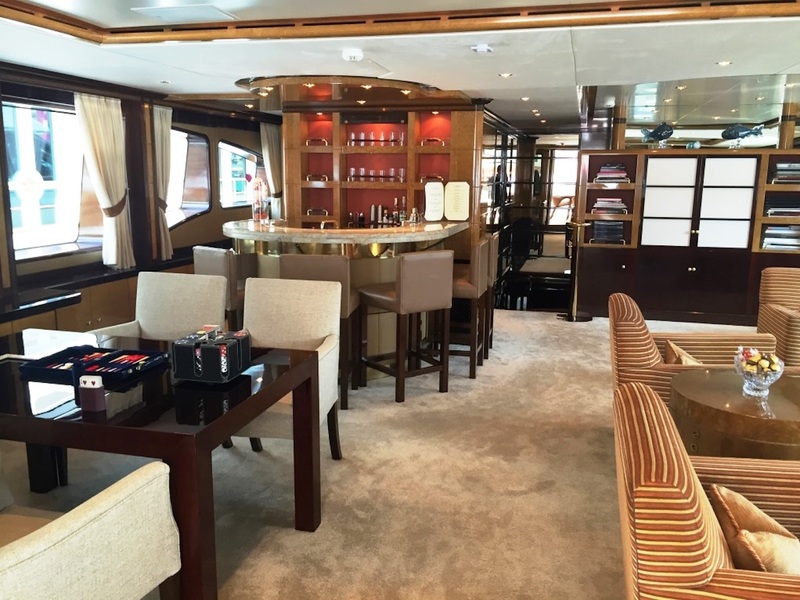 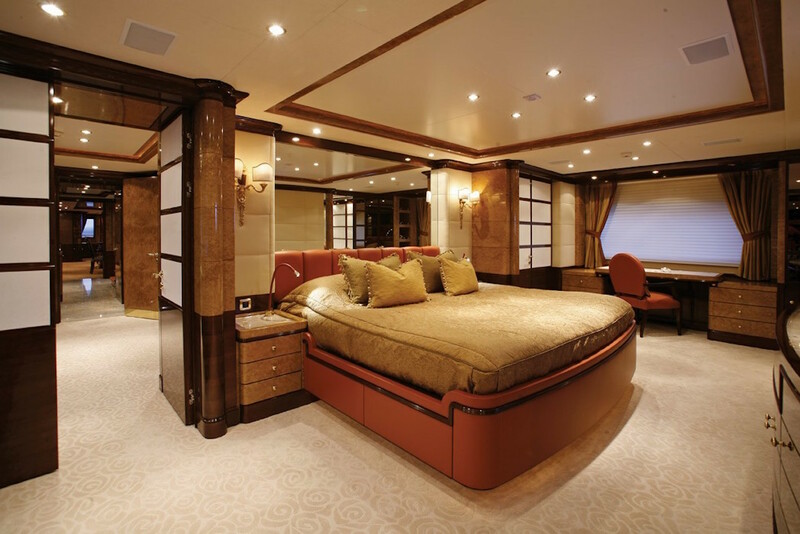 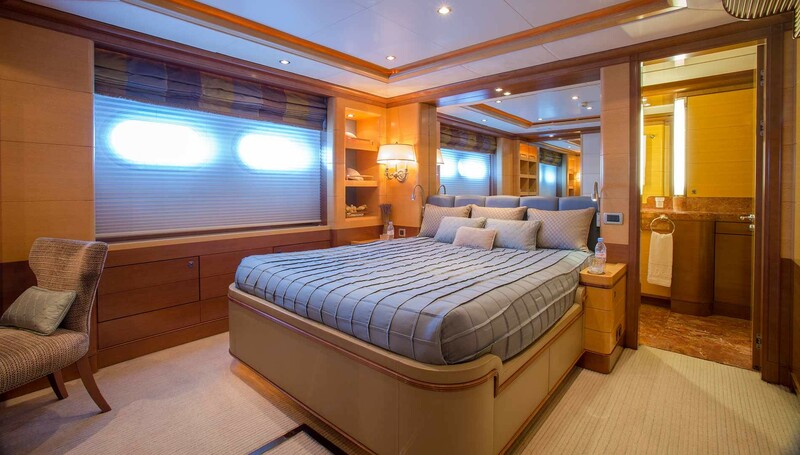 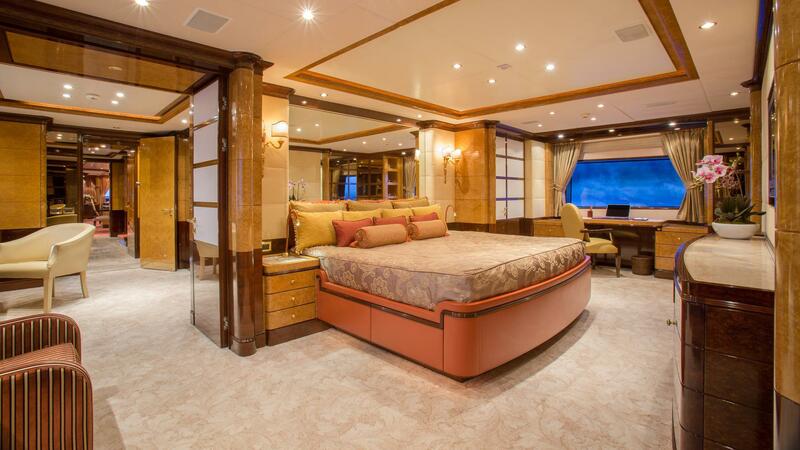 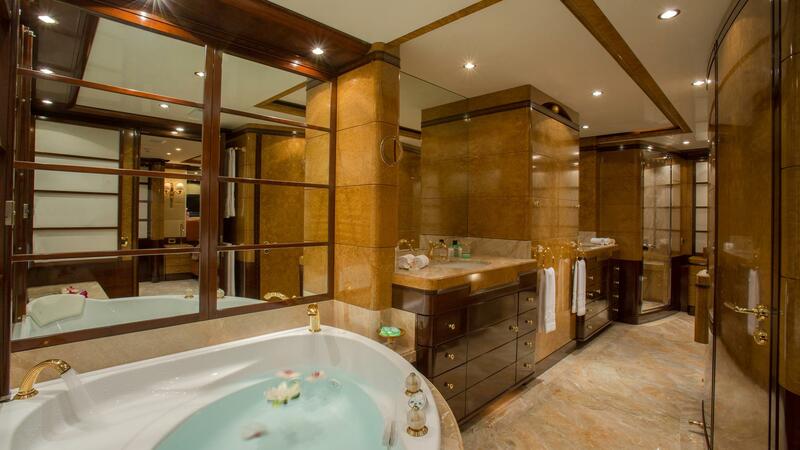 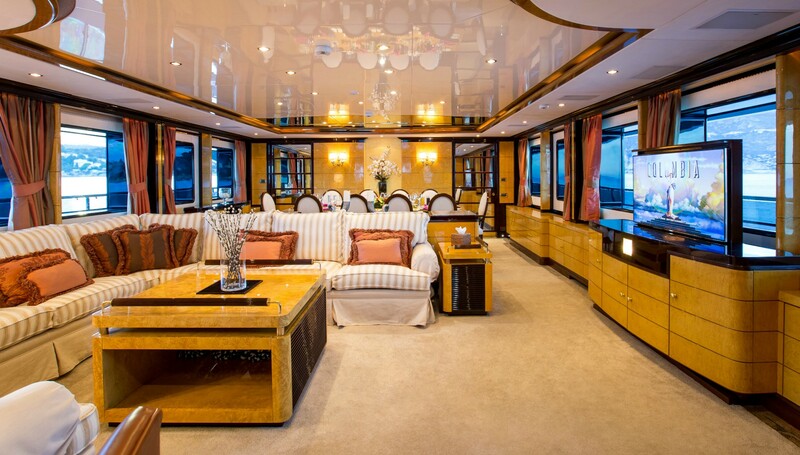 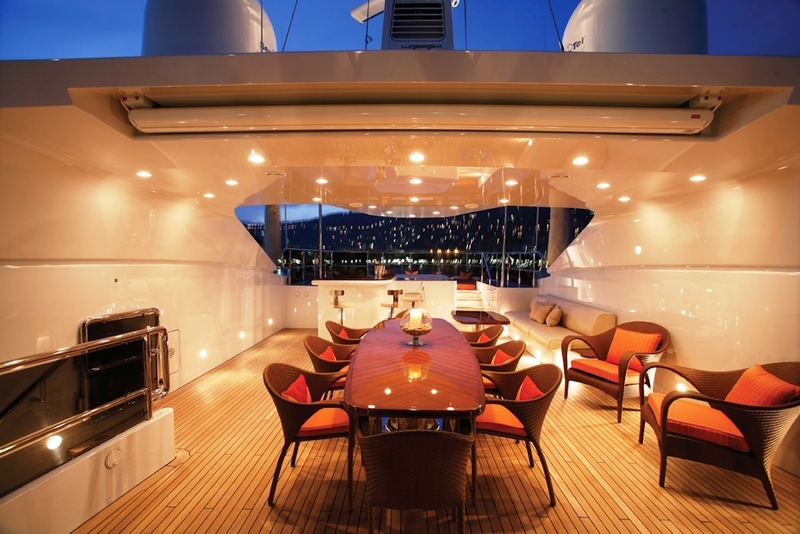 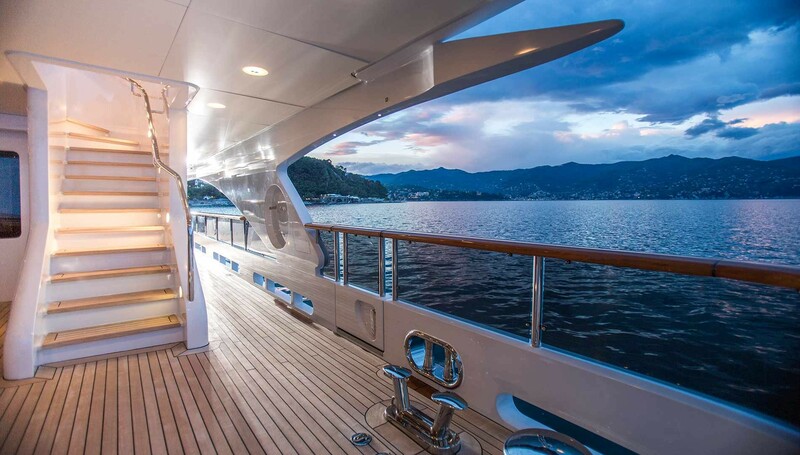 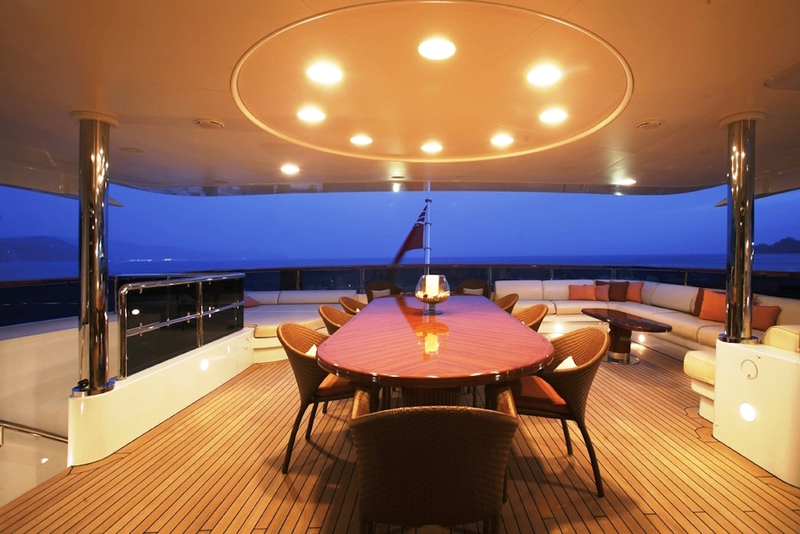 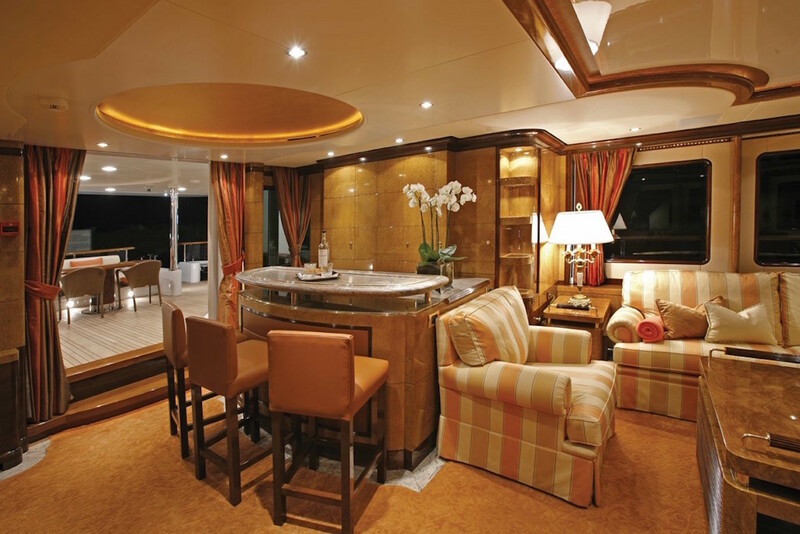 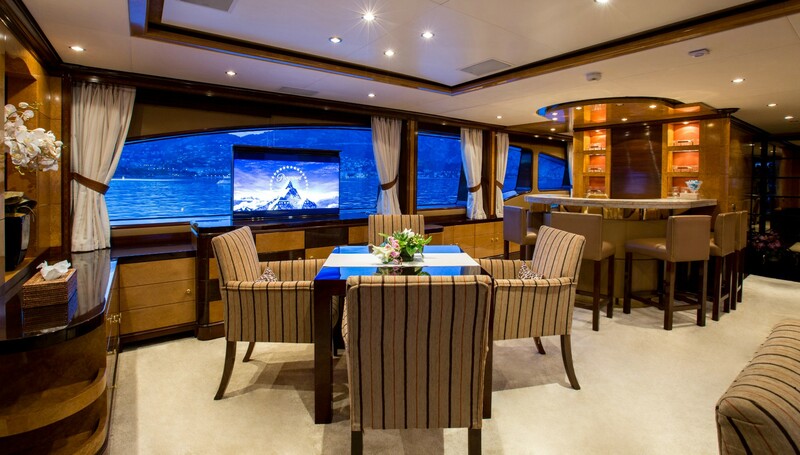 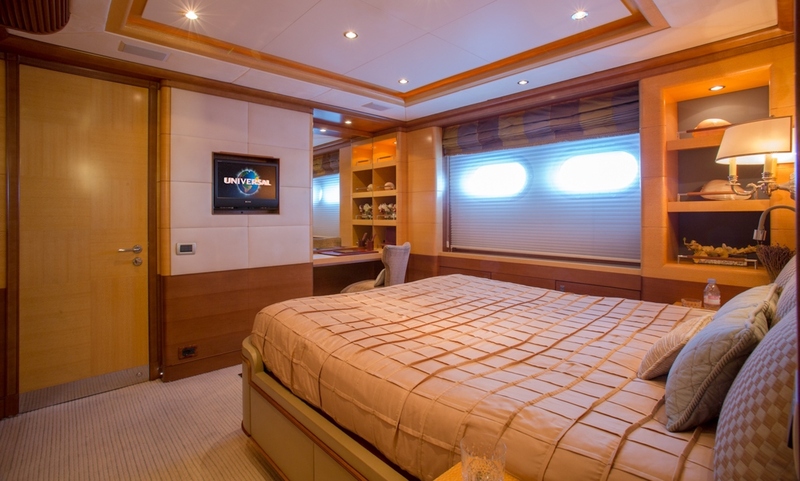 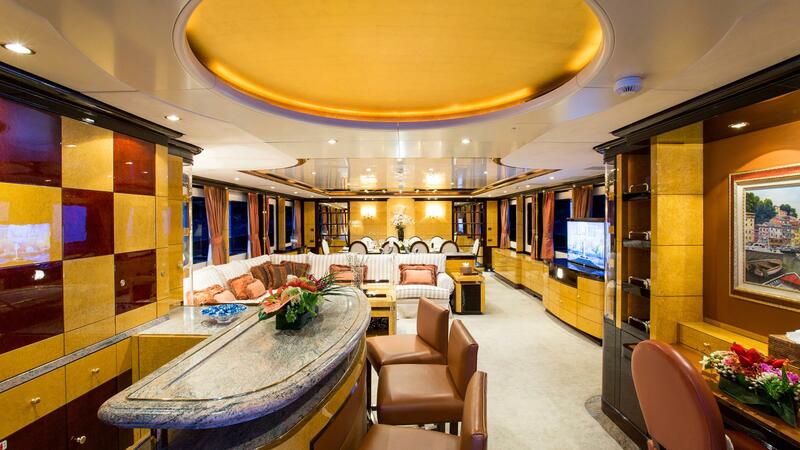 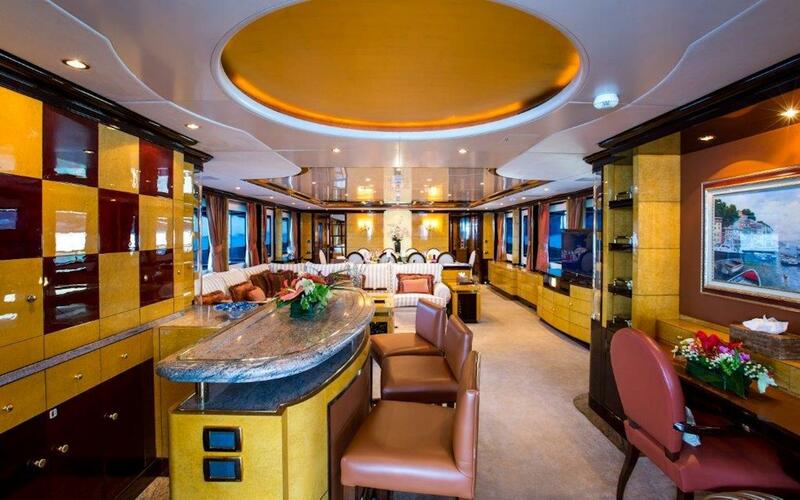 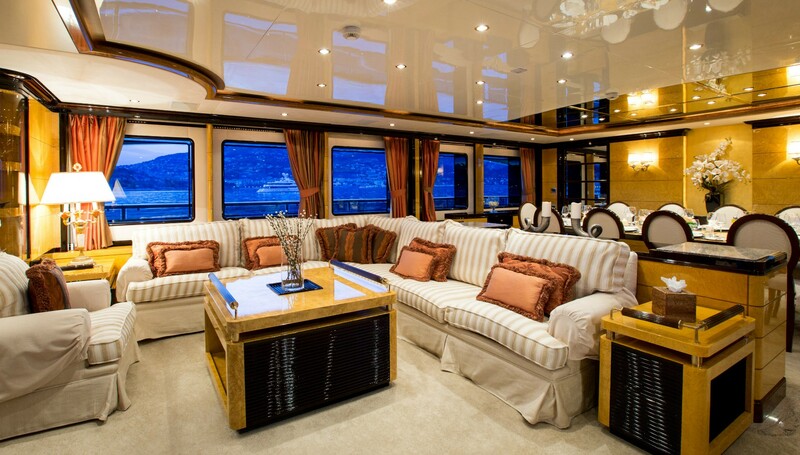 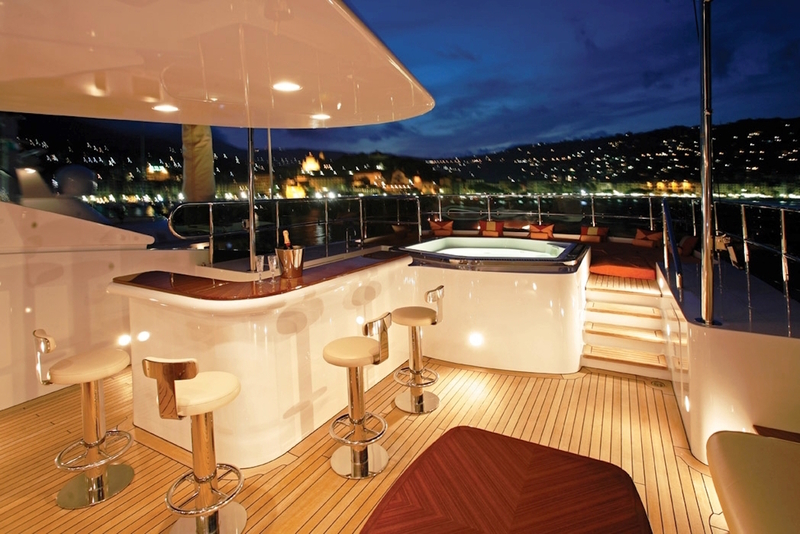 She is a beautiful yacht with interior styling by Francois Zuretti. 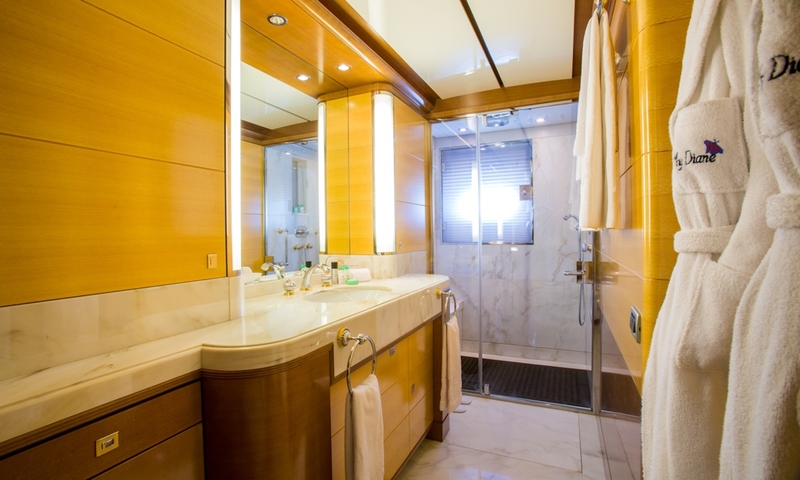 She boasts not only great volume and space for her length but also modernity and style. 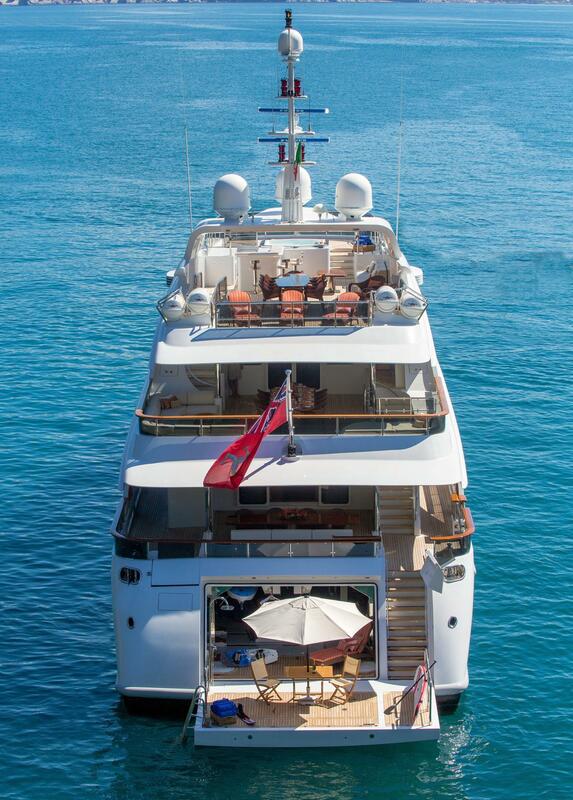 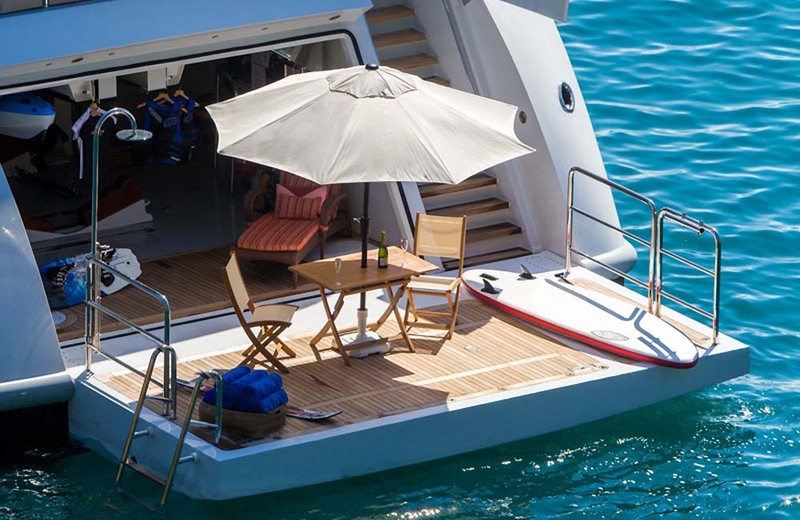 Perhaps most importantly for a relaxing and enjoyable vacation, she comes with a fantastic, experienced and fun crew. 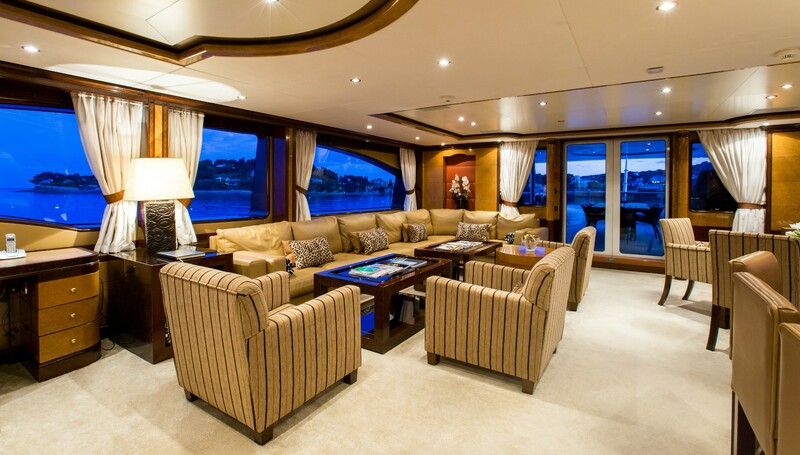 The main salon provides a relaxing atmosphere, where the guests can unwind in the lounge area or taste some mouthwatering meals at the formal dining area. 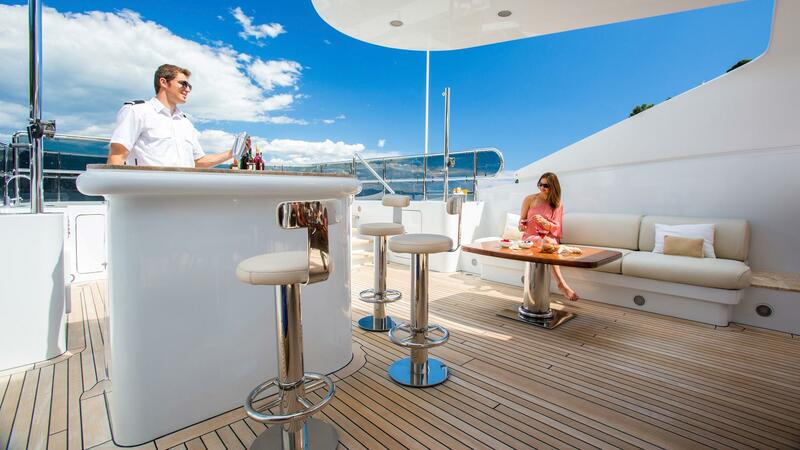 The sky lounge is brightly lit with natural light and has a bar and ample comfortable seating. 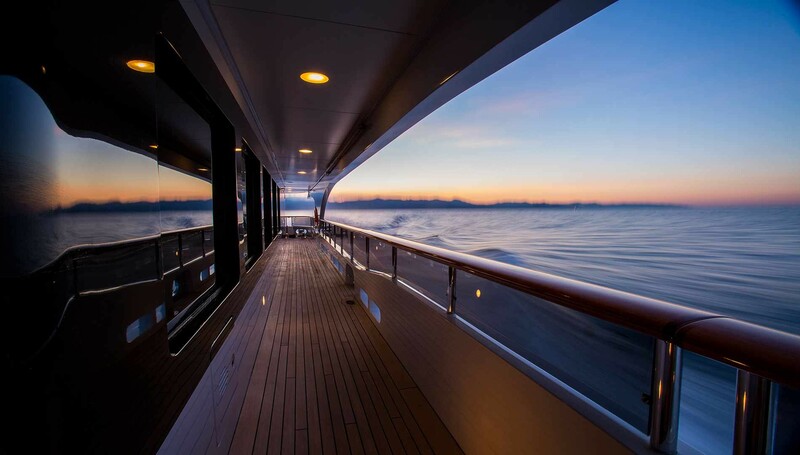 The exterior spaces are spacious and provide all necessary amenities for a luxury holiday cruising in the best destinations. 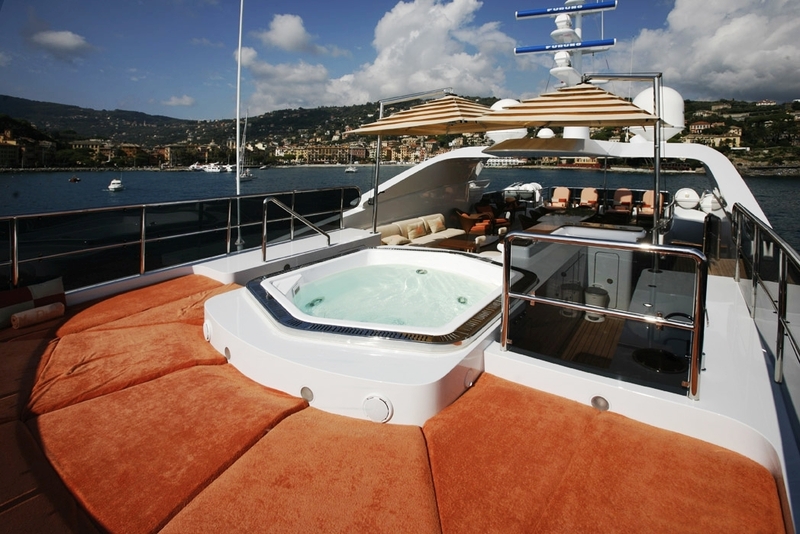 The guests can catch some sunrays on the sun pads, sip cocktails at the bar or cool off in the Jacuzzi. 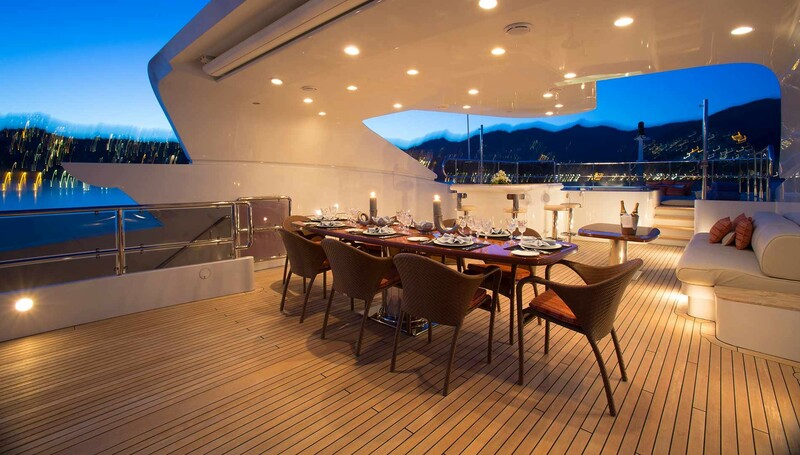 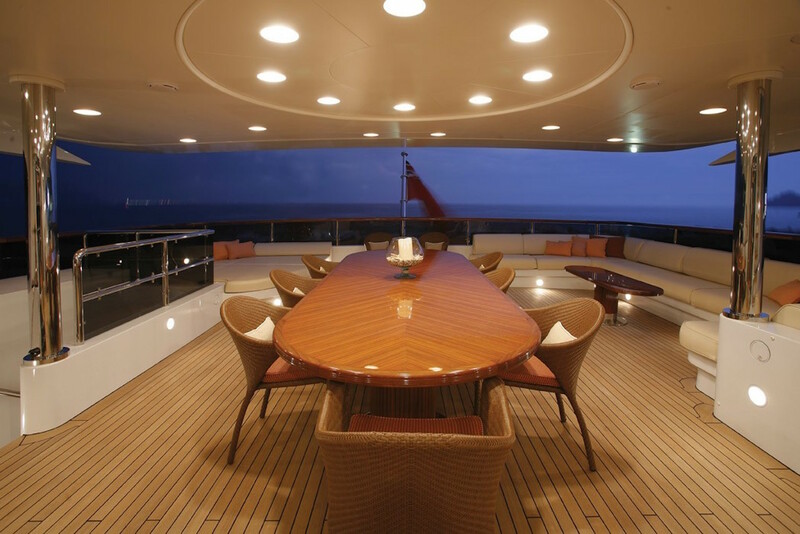 There is a large alfresco dining table for those who prefer the light breeze and fresh air in the waters of the Mediterranean. 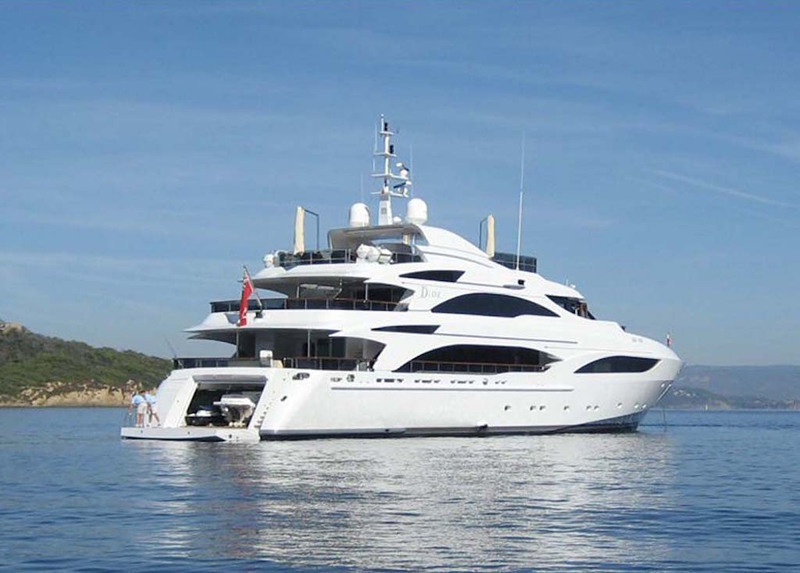 DIANE offers a great arsenal of water toys, communications and amenities and she also has zero speed stabilisers for added comfort. 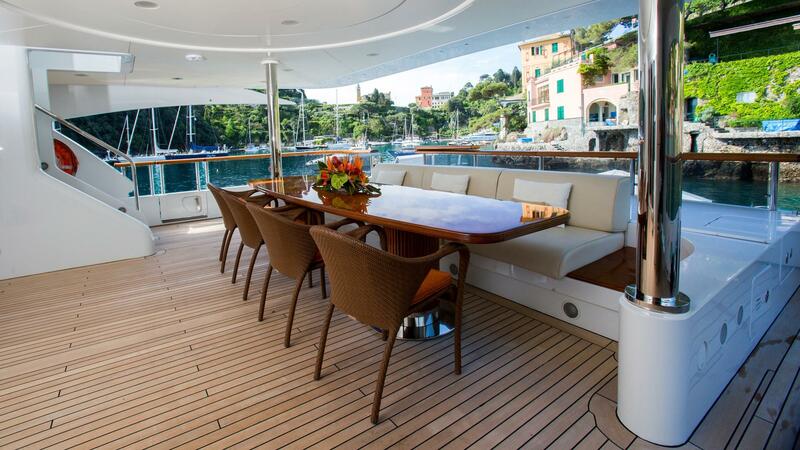 The beach club is equipped with a shady table and chairs. 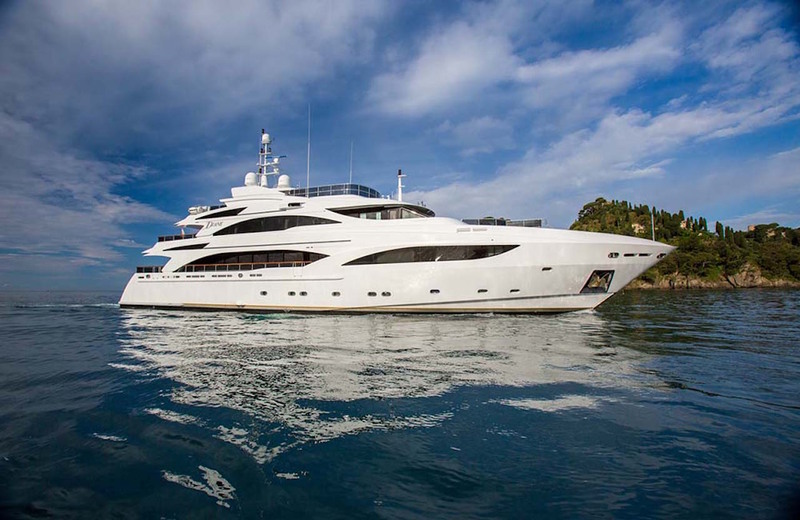 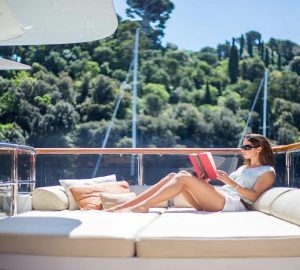 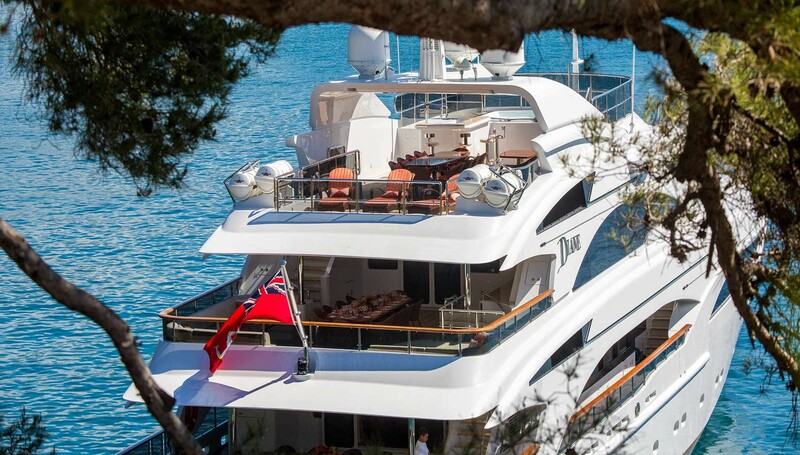 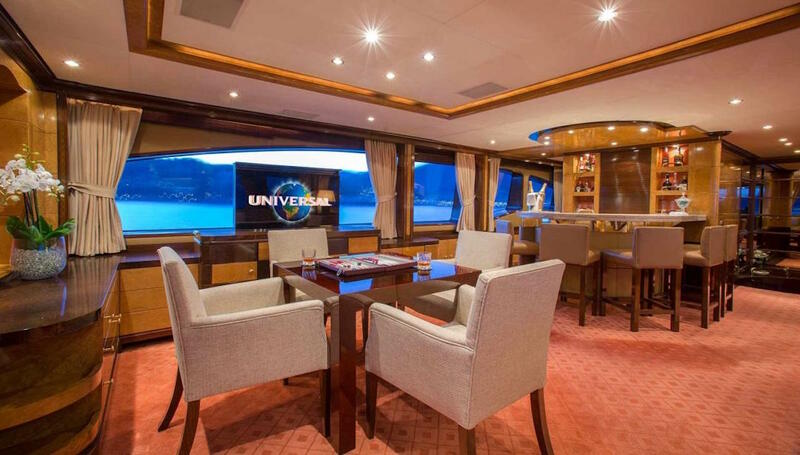 Representing ideal value for money, this Benetti luxury yacht can accommodate up to 10 charter guests in 5 cabins, in a 3 double and 2 twin cabin format. 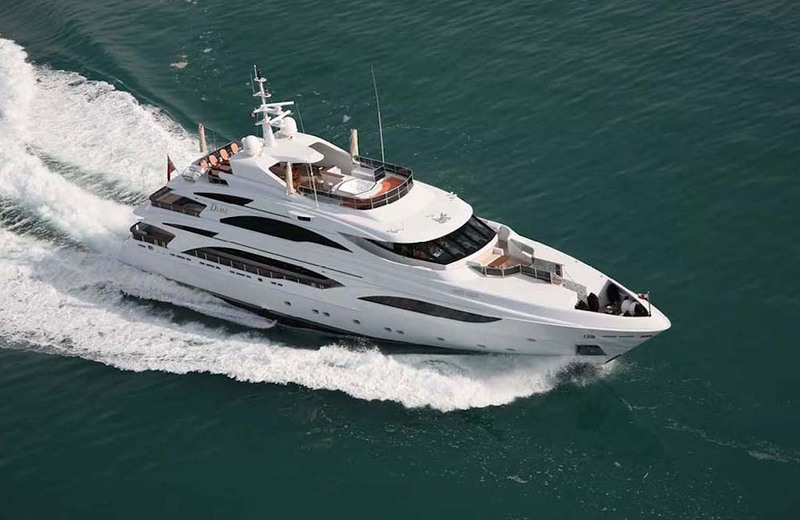 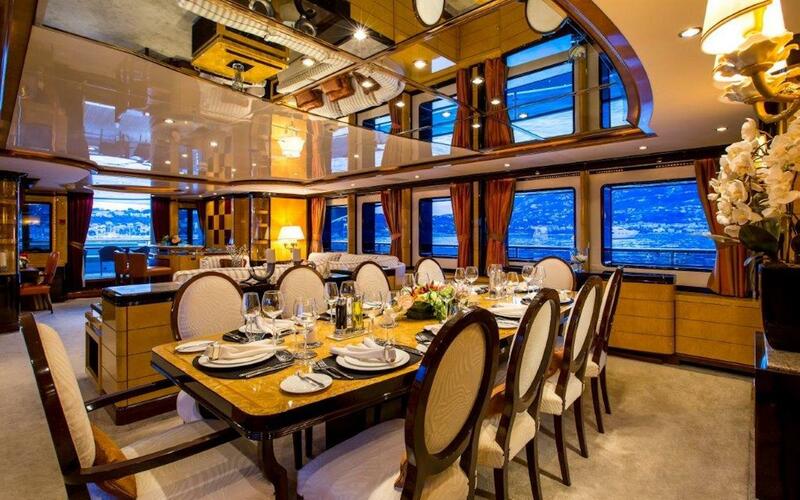 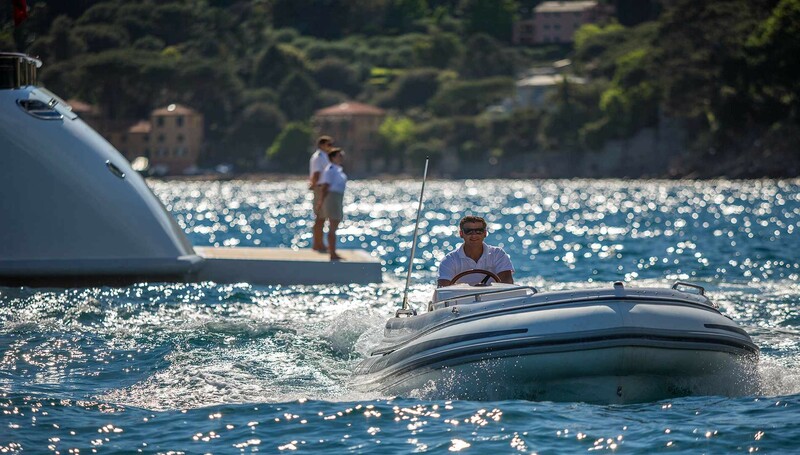 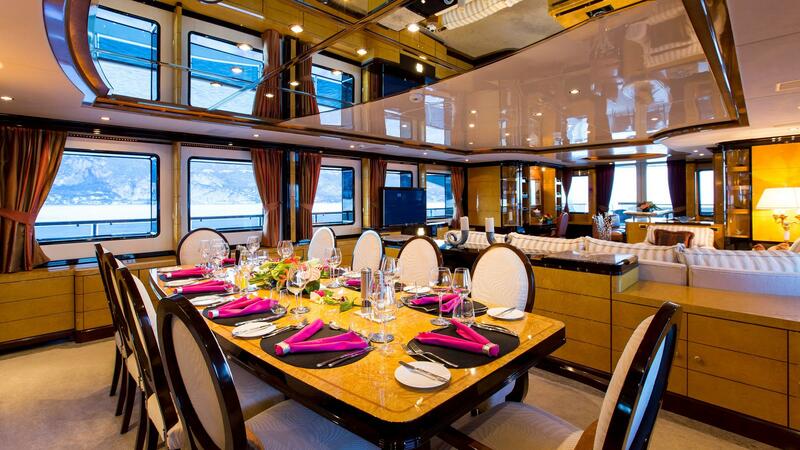 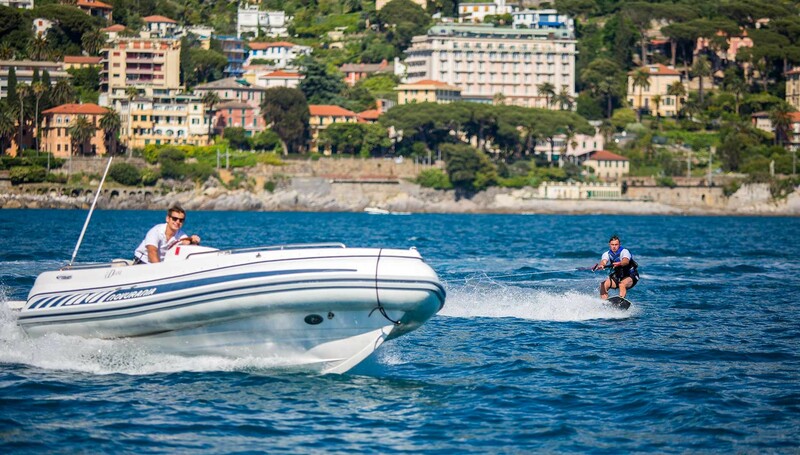 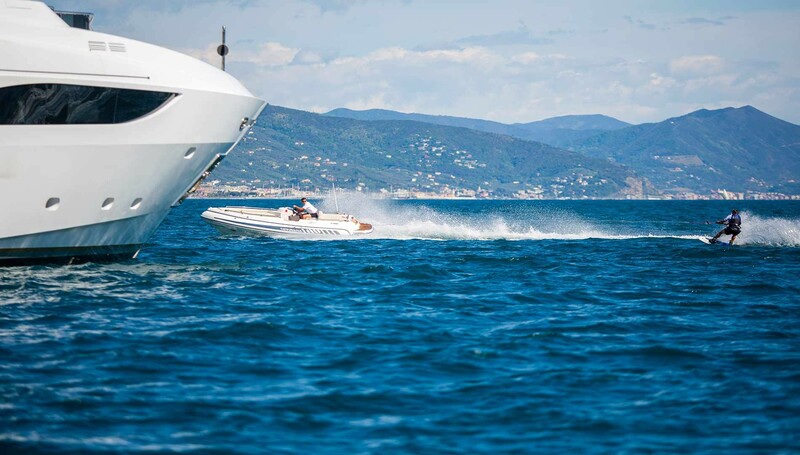 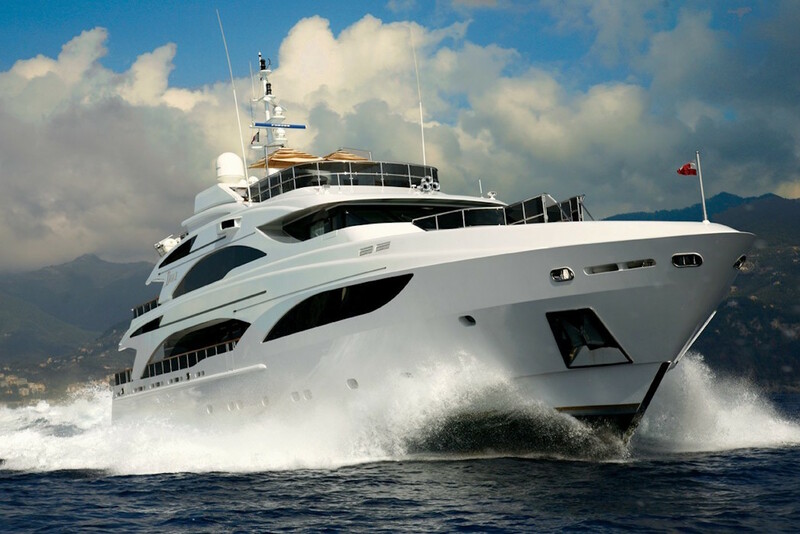 Motor yacht DIANE can reach a top speed of 20 knots and cruises at a speed of 18.5 knots. 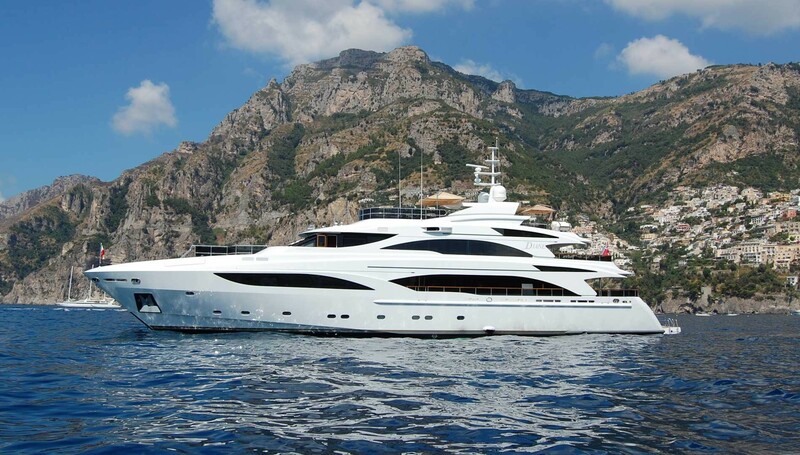 Representing ideal value for money, this Benetti 43 luxury yacht is able to accommodate up to 10 charter guests in 5 cabins, in a 3 double and 2 twin cabin format. 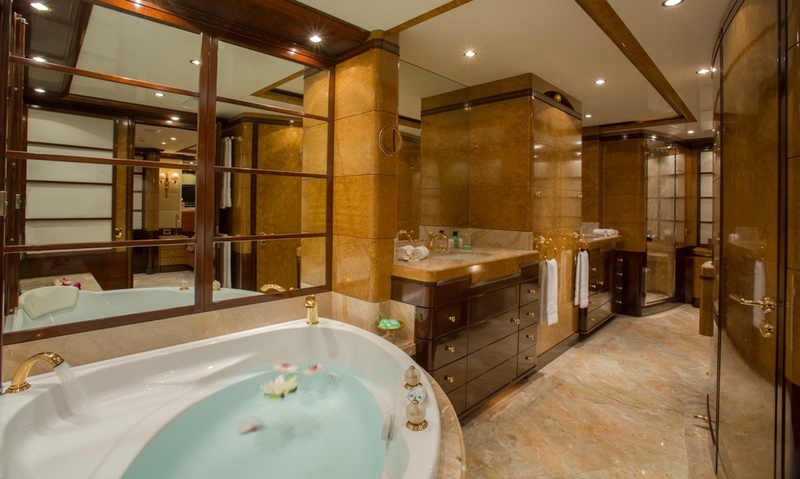 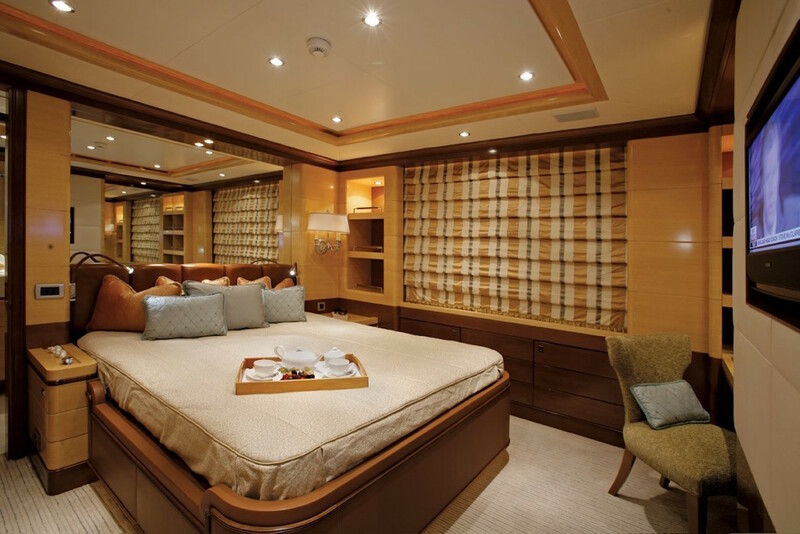 The master suite hosts a study area, large wardrobe and ensuite bathroom with Jacuzzi. 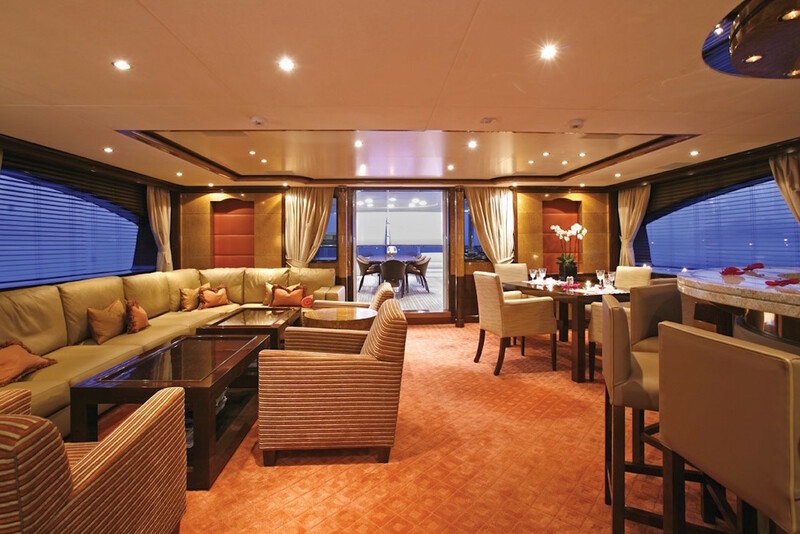 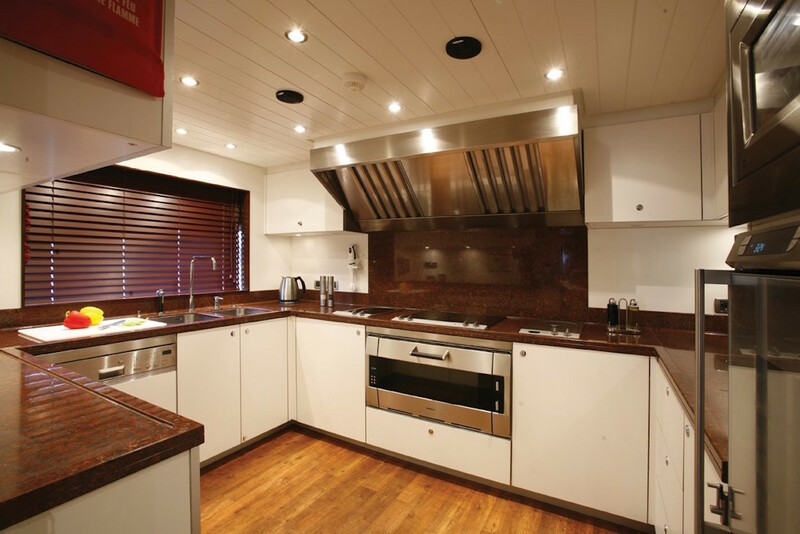 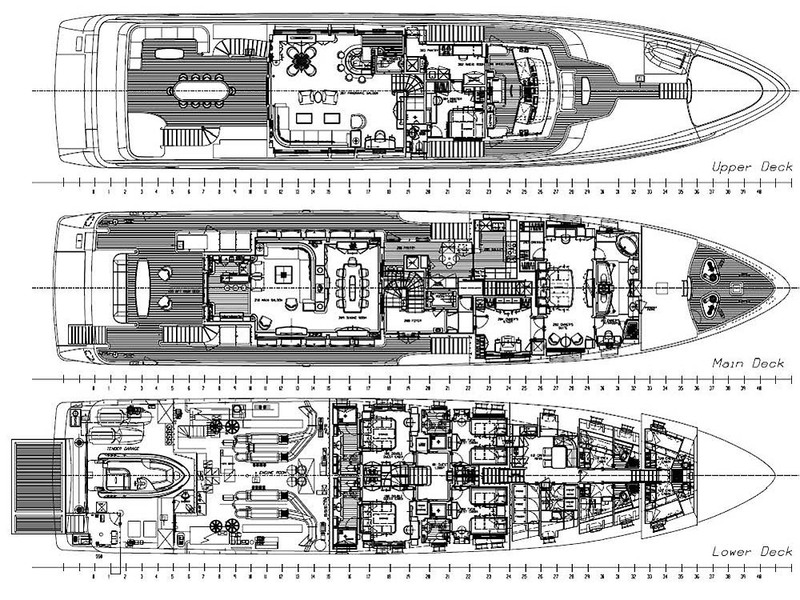 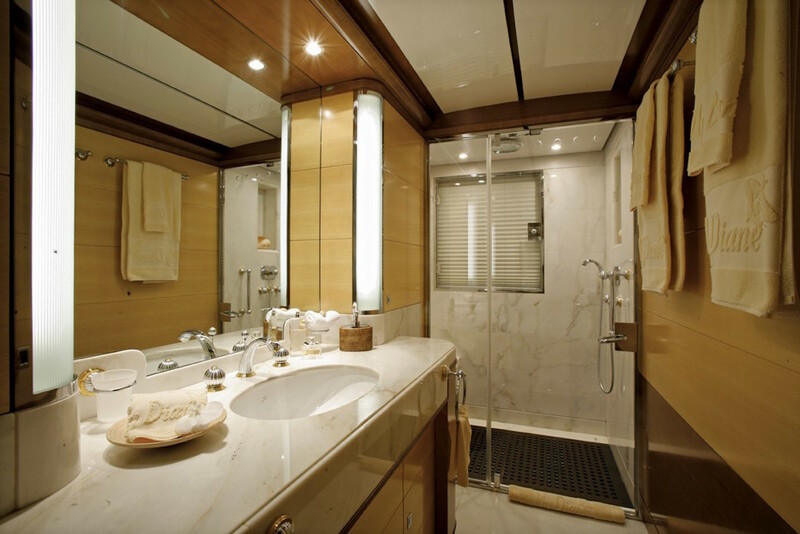 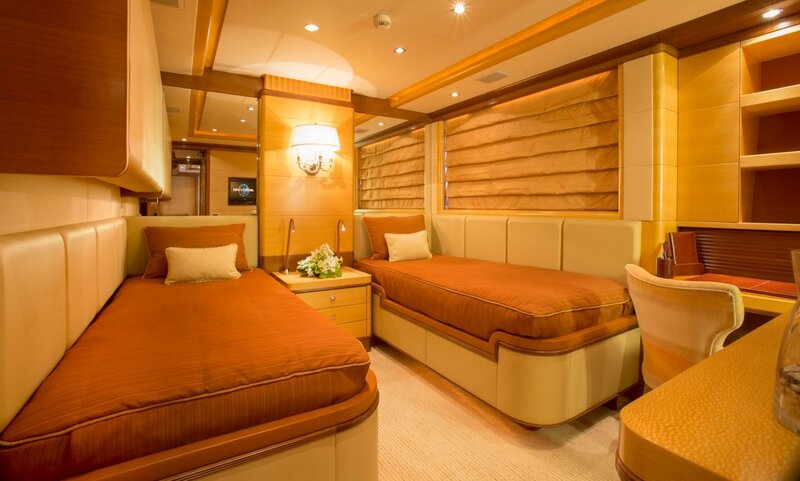 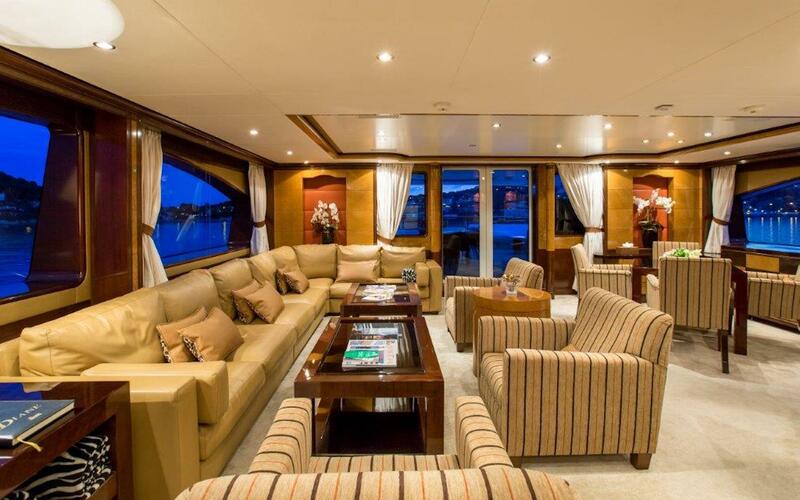 Two double cabins are located forward on the main deck, while two twin cabins are aft. 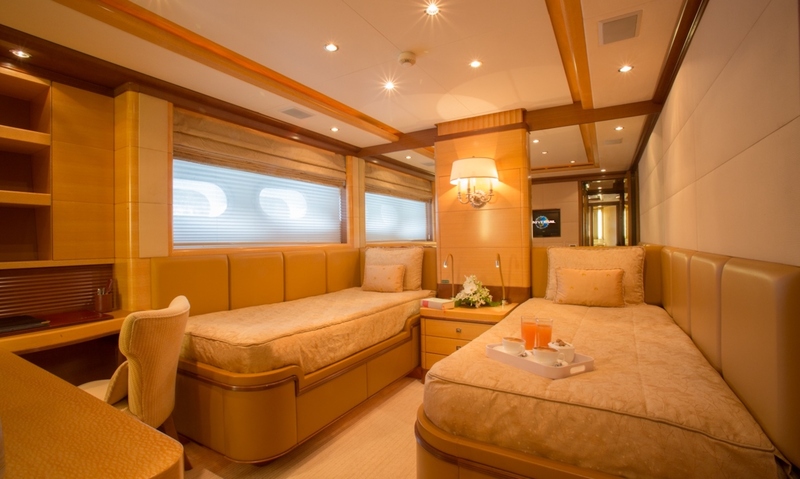 One twin cabin has an option of a Pullman berth.